Nestled in a wide valley near State College, Pa. is a large dairy farm that has been run by six generations of the Rossman family. The current steward, Barb Rossman, has run the operation almost singlehandedly since her husband passed away in 1993. With several hundred acres of land roamed by several dozen dairy cows, Rossman and her son J.R. admit that they face a tough job if they want the farm to be around for a seventh generation: J.R.'s three-year-old son Landon. 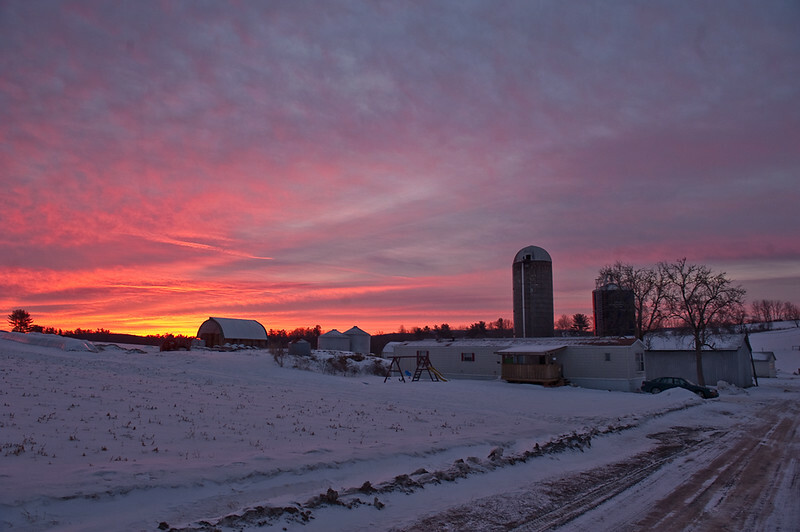 Sunrise colors the sky over Barb Rossman's farm near Spring Mills, Pa. on Feb. 9, 2011. Dairy farming is the top economic enterprise in Pennsylvania, and is the way of life for the Rossman family, who have farmed the same land in Centre County for five generations. Barb, who is in her 60s, has been a widow for nearly twenty years, yet she runs most operations on the 300-acre farm with help from only her son and a few part-time farm hands. "Who knew that farmers had to do so much paperwork? 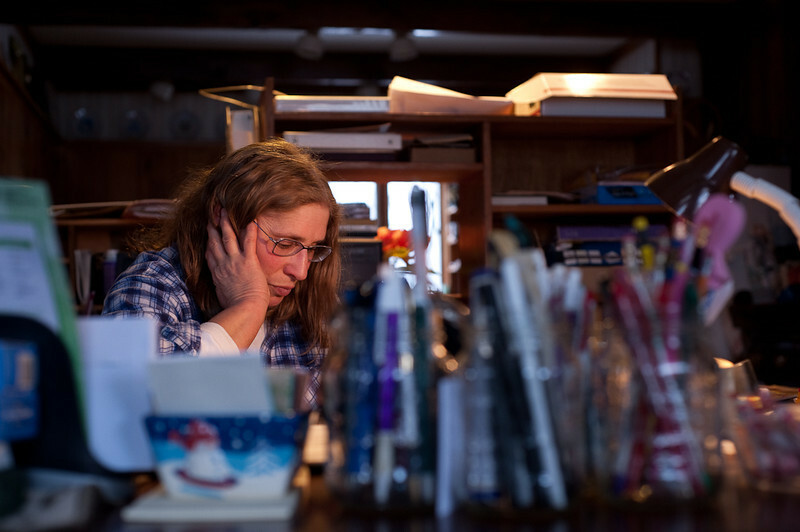 Some days I feel like that's all I do," Barb lamented while balancing her ledgers on Feb 16, 2011. Barb and son J.R., left, clean udders before applying automatic milking machines to two of their 60 milking cows on Feb. 15, 2011. Barb Rossman, foreground, and her son J.R., at back, stand by, unable to do much to help an ailing cow as it is tended to on Jan. 29, 2011, by a large animal veterinarian, who declined to be identified. 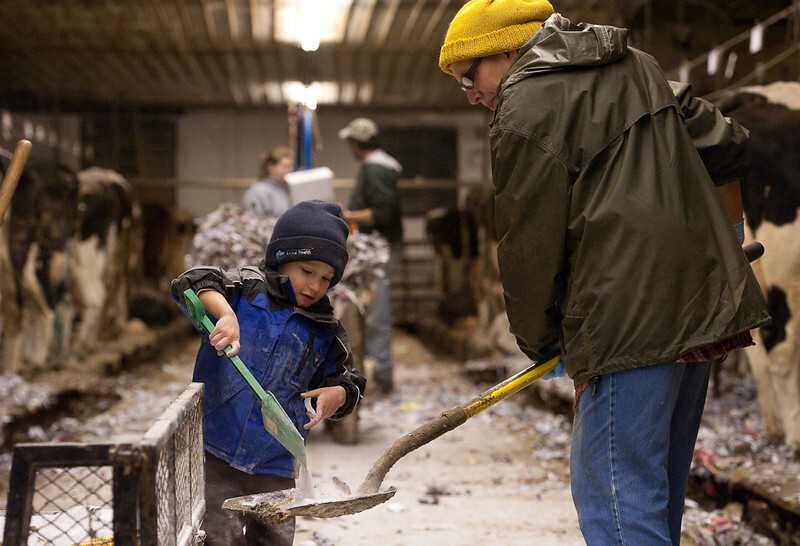 Grandson Landon Rossman and grandmother Barb Rossman work together in the barn during evening milking on Feb. 17, 2011. Even though he is just 3 years old, Landon helps where he can, when his father and grandmother allow him. 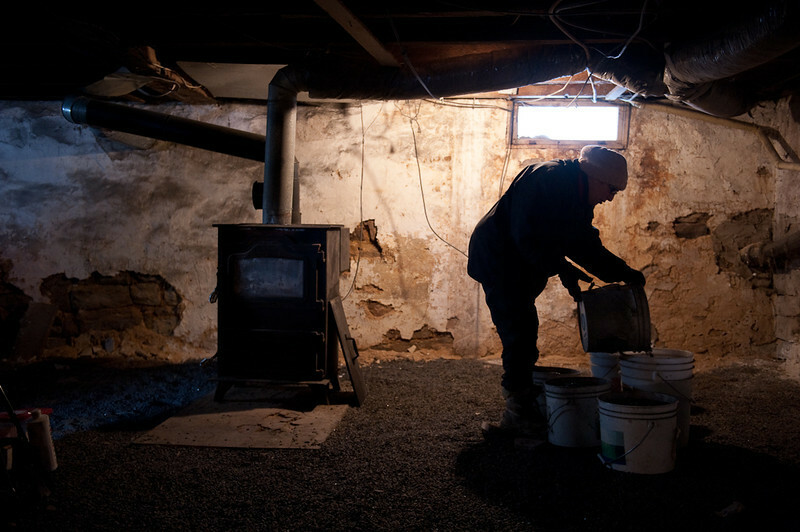 Barb Rossman dumps coal into reserve buckets in the basement of her house on Jan 29, 2011. Her house, built in the 1800s, is heated entirely by two coal stoves. The one at left, however, is giving her trouble this morning. Her house's inside temperature would drop into the 50s overnight as a result, but her son, busy with farm work, hasn't had time to fix it yet. 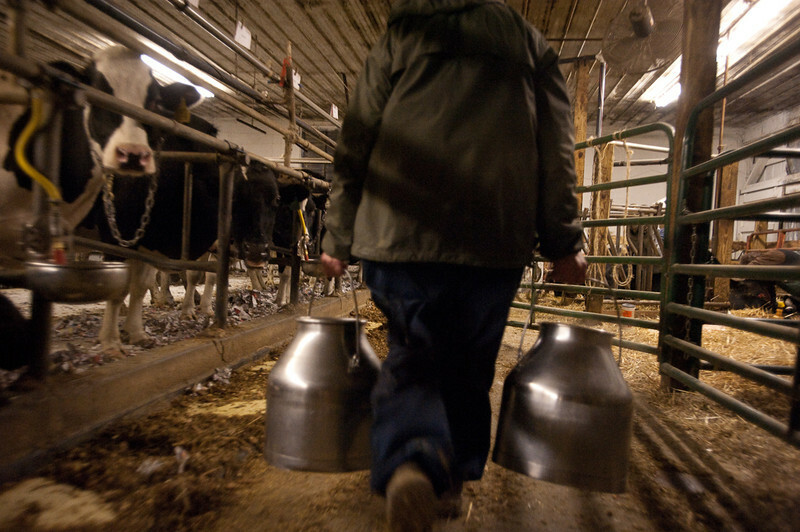 With a cow in distress after giving birth and then trying to pass its uterus lining, Barb Rossman carries steel milk jugs of hot water to soothe the cow and assist the night-shift veterinarian treating the animal on Jan. 29, 2011. 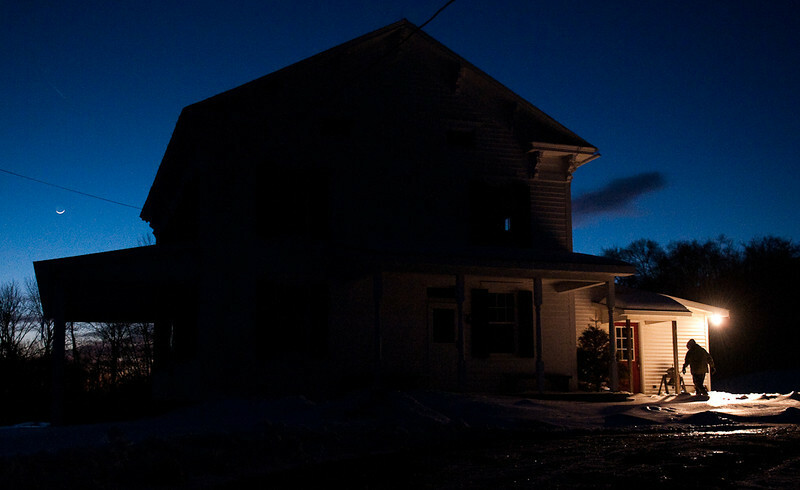 Her day nearly done, Barb Rossman returns to her darkened house shortly after sunset on Feb. 4, 2011.